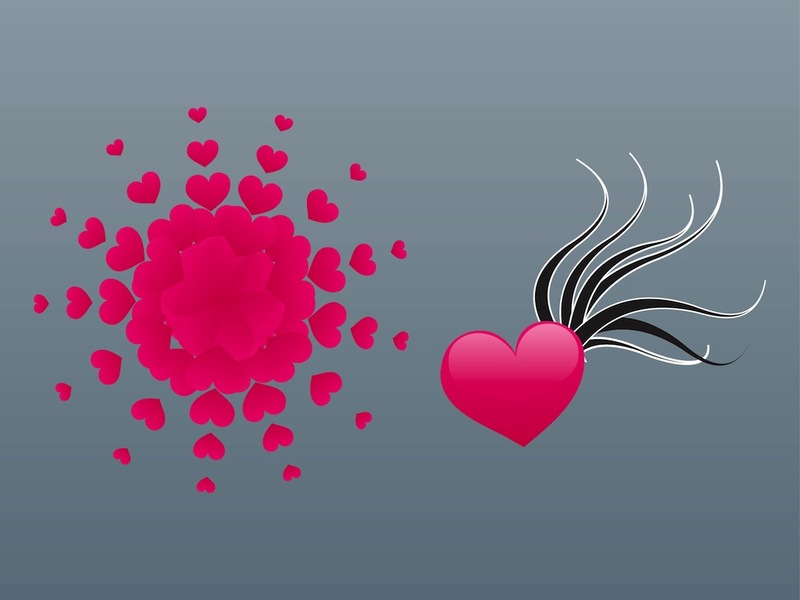 Romantic vector graphics with different heart designs. Floral heart arrangement with different sizes of the hearts and single glossy heart with waving lines on the side. Free vector illustration for all kinds of love, romance, romantic, Valentine's Day, crush and relationship design projects. Tags: Abstract, Decorations, Hearts, Romance, Romantic, Shiny, Valentine.